I have seen a megadrive version of this thread, I cant say Ive seen an 8bit equivalent surface, so here goes it. 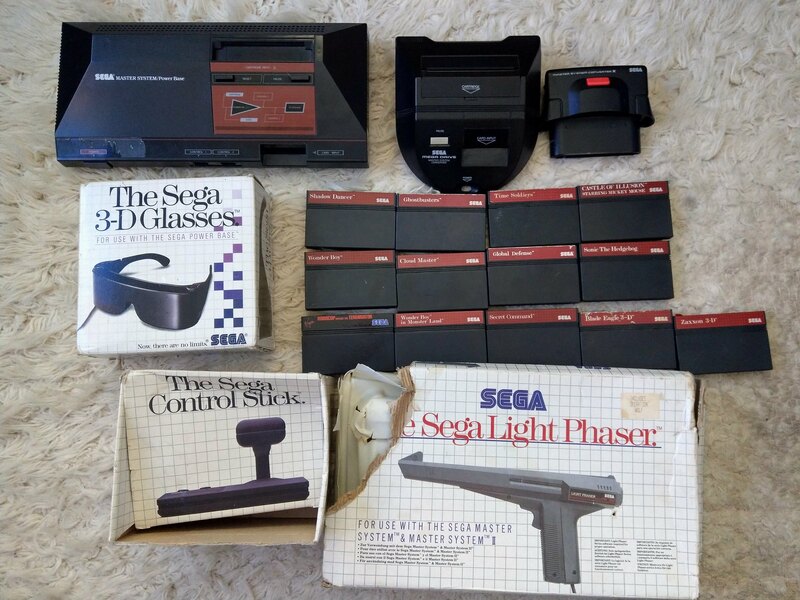 I mainly collect on the megadrive however my first console was a Master Sytem which had Alex kidd built in. I have acquired a master system converter to play the odd 8bit game on. Last edited by Rustybolts; 08-17-2018 at 08:02 AM. The loose cart with the taped label is Alf. I found it at a thrift shop about 10 years ago. It features a strip of tape with Alf written on it in kid scrawl. Seeing it, I thought to myself, I'd buy that for a dollar. 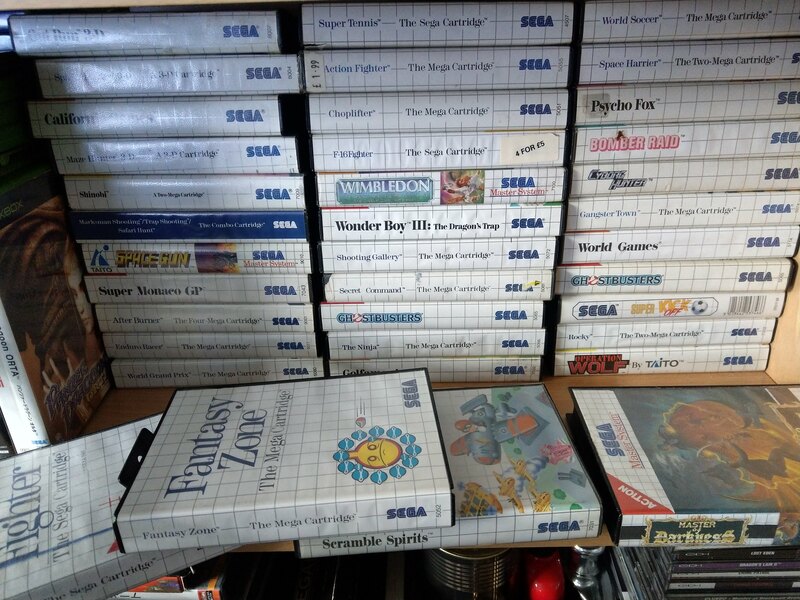 I've got a number of SMS games I've managed to find over the years, most pretty cheap some not so much. SMS seems like it's gotten a lot more focus in the last several years, games that were like dirt cheap have been creeping up. Only DD and Moonwalker don't have a case. Used to have almost the entire US collection, but unstable living conditions and crap employment make for many instances of "lose everything you own". Rampage on SMS is great. My buddy had the NES version when we were kids and it blew. Nintendo definitely got the short end of the stick on that one. If you just want to play the game though without tracking down a vintage cart that's probably expensive nowadays, check out the Midway Arcade Treasures compilation on PS2 or Xbox. Cheers for the suggestion, but I dont game on modern hardware at all barring my android tablet. Although this game isnt that expensive, current listings on ebay at between 10 and 20 pound for loose cart or the latter CIB. However I have plenty of other games I seek so I am in no hurry. I also have the master everdrive, not sure if you can count that in . 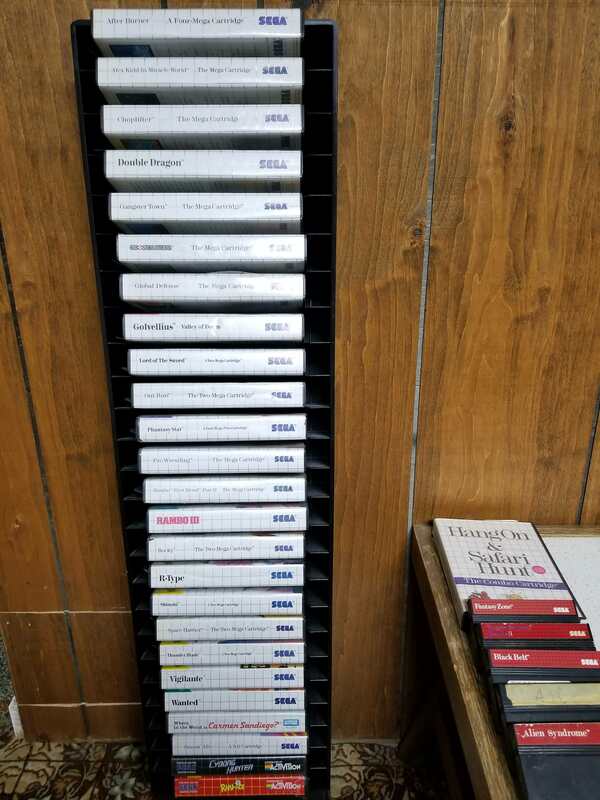 Here's my SMS collection. It's far from complete, but it's got some gems! A lot of stuff I want is just so expensive so I bought digital versions like on 3DS. So as it is my SMS collection is small. Zillion has been on my wishlist and just not gotten around to getting it yet.